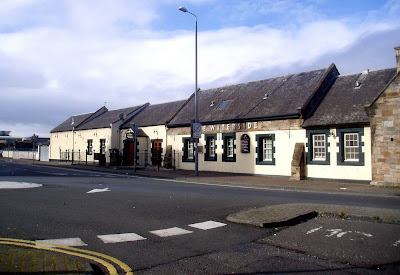 A fully fitted bar and restaurant with development potential is offered for sale in Ayr. As its name suggests, The Waterside, located on the town’s South Harbour Street, occupies a prominent riverside location. The detached single storey property of stone construction comprises a bar, restaurant, beer garden and children’s play area, kitchen with walk-in chill, cellar and private parking. Whilst the property holds a current premises license under the terms of the Licensing (Scotland) Act 2005, there is also scope for residential, office or retail use subject to local authority consent. There are currently 610 Ayrshire business stories permanently archived on this site. To locate those of most interest to you, please use the site search facility in the top left hand corner of this page. Type your search term in the white box, then click “SEARCH BLOG”.